I was thinking about the Expedia deal today and just now I received an email cancelling my offer. OK, I knew there was a chance they will cancel the ridiculous price that booked for my mum’s holiday in Crete Greece. 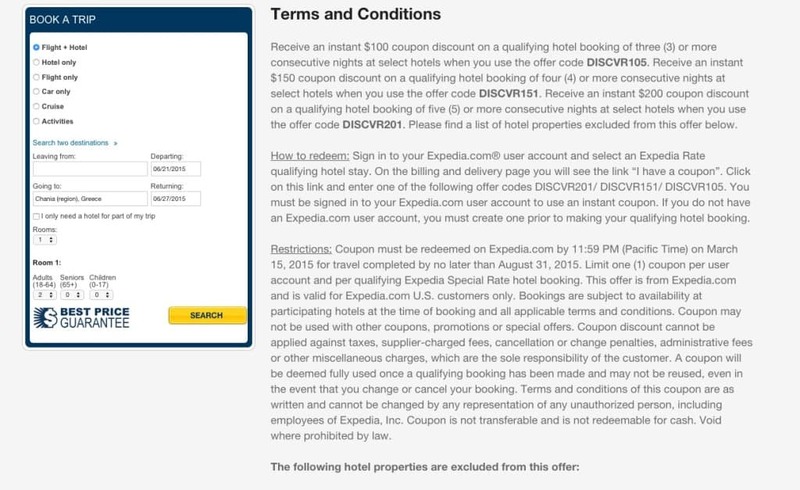 However what I don’t like is Expedia making up their Terms & Conditions as they go along. On Monday I saw Travel Summary posting about this deal. I got extremely happy since I could just book my mum for a week in a B&B for less than $20. Awesome! 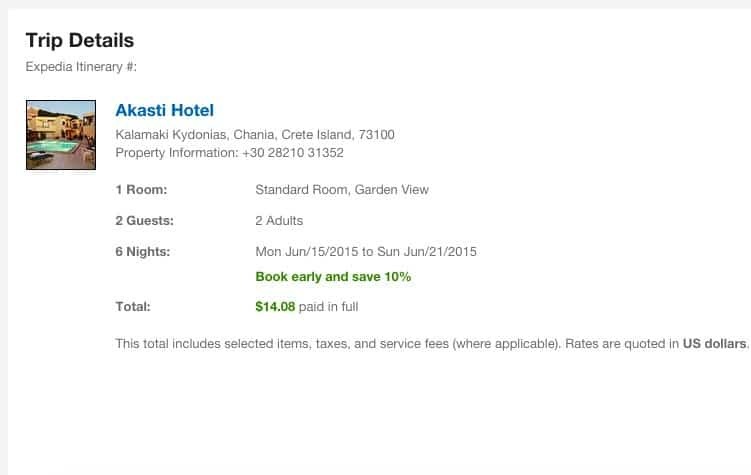 I did manage to book the hotel and indeed she was super happy as she always wanted to go to Crete. 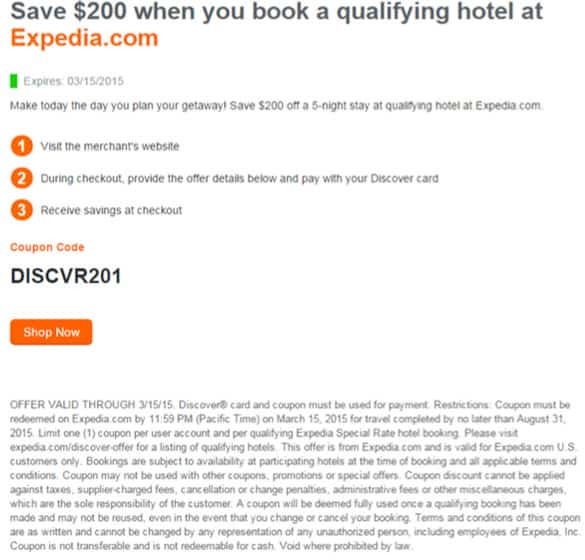 Since Monday I hoped that Expedia would have let it slide and accept all the bookings made with the code. However, as I just discovered both my bookings were cancelled. I made one online and one via the phone using both my parents’ names and paying with different cards. This is the old T&C from Expedia. Also, the Expedia member whom I booked on the phone spent almost an hour making sure that the T&C were OK for me to book this room. I don’t mind Expedia cancelling my reservation, even though I expected them to be honoured. What I don’t like is them making up conditions as they go along since this code was so popular. Their own staff members were booking with this code and in my case, it took Anna one hour to make sure that I was eligible to use the code. All of a sudden because it was picked up by so many sites it became too much for them to take and decided to just cancel. Or is it that they “just” did it as a coincidence with the United’s mistake fare buzz? I am just saying. Now I will have to make it up to my mum with a luxury holiday to Dubai. 😉 I guess there is at least one winner here.